For one, the higher-cut waistband with a narrow silicone band on the inside of the waistline prevents your T-shirt or dress shirt from slipping out when tucked in. The wide back pockets are slightly offset, ensuring that the seams do not disturb whilst cycling, regardless of the rider's position on the saddle. The high stretch content ensure a comfortable fit, with the trousers maintaining their shape due to the flexibility of the material. Another special feature: The jeans are water and dirt repellent thanks to their ecoperel-coating, which is also highly abrasion-resistant. 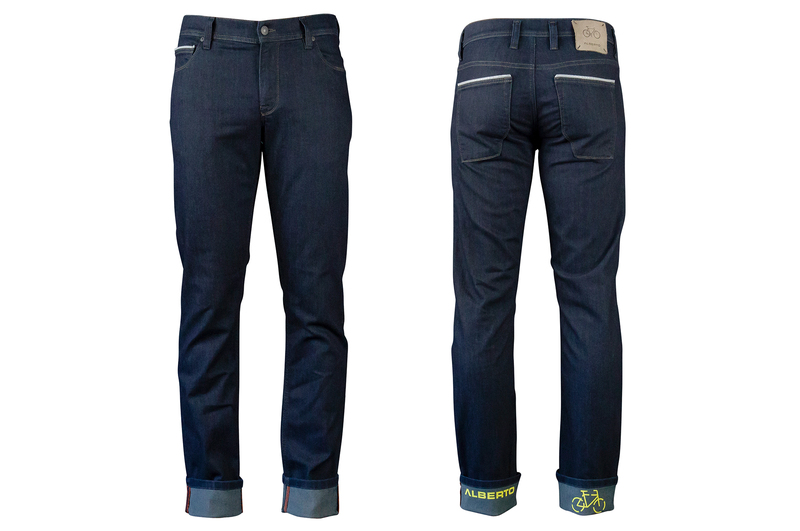 Despite this coating, the jeans are also machine washable and suitable for tumble-drying and ironing. Our model is 1,80 m tall and is wearing size 31/32. Water repellent, with stretch content.